Jewelry Design Gallery has proved our love, expertise and passion for all fine jewelry! Jewelry Repairs By Us for the tri-state area working at a wholesale level. Jewelers quickly came to the Cowit family for their expertise with jewelry and watch repairs and over time, the word on the street about the Cowit family’s wedding jewelry and gold jewelry expertise grew to selling to the public. 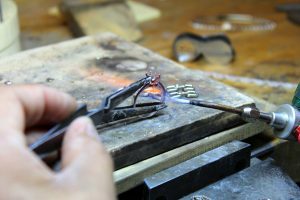 Since 1984, Jewelry Design Gallery has been serving the Monmouth County area with unparalleled expertise and strong customer service built on years of experience, expertise, and quality gem, metal and diamond education. Designing, producing, repairing and choosing the best fine jewelry to fill the cases, takes a lot of heart and expertise. 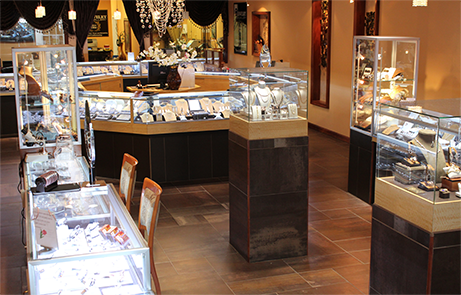 Located in the Towne Pointe Shopping Center, in Manalapan New Jersey, we offer our clients an exceptional selection of quality jewelry and exquisite gemstones. We realize the importance of earning your trust whether you are buying wedding jewelry or every day jewelry, and we are committed to maintaining the highest levels of professionalism and integrity. Because we have grown in this community since 1984, we also pride ourselves on high-level corporate responsibility and giving back to the community. From non-profit organizations to local recreational groups and schools, we love giving back to the community that trusts us with its fine and gold jewelry needs. No matter what special jewelry piece your heart and dreams are after, we create and sell the finest jewelry pieces. For quality wedding jewelry that you won’t find at other jewelry stores, Jewelry Design Gallery only sells some of the highest quality diamonds. All diamond engagement rings sold at our store are accompanied by a certification from the most reputable and respected grading laboratories: The Gemological Institute of America (GIA), the American Gem Society (AGS) or the European Gemological Laboratories (EGL-USA). Thanks to our expert CAD/CAM designer, Jewelry Design Gallery is known for our custom made work, which sets us apart from other jewelers. From start to finish, we work one-on-one with our customers from the casting to the setting stones for all of their custom jewelry needs. With the latest 3-D printing technology, we build our customers’ dreams whether it’s in gold or platinum, and with any kind of stone imaginable! To learn more about Jewelry Design Gallery and our full-service fine jewelry shop, visit us in store or call us today at 732-536-1184!